These shipments include our full line of grips, apparel, posters, and many accessories. 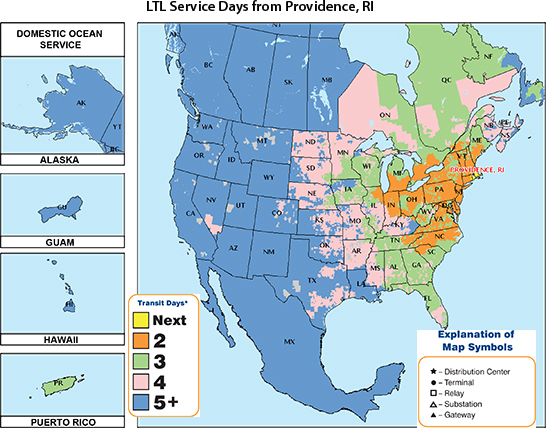 Orders for small packages (under 165 lbs and under Package Carrier minimum size requirements) are shipped primarily from our Connecticut location. Some items are drop-shipped directly from partner manufacturers. DGS will ship stock orders within 48 hours of receiving. Our best effort is to ship orders the same day when placed before 12 p.m. EST. Monday-Friday. Orders received Friday after 12 p.m. and weekends will ship the following Monday, excluding Monday holidays. Standard shipping can take 5 to 10 business days. Please refer to the shipping map below for estimated ship days. Saturday, Sunday, and holidays do not count towards order processing or shipping time. DGS will choose the best method to ship your small package. UPS/Fed Ex will not deliver to a PO Box or an APO/FPO. Orders to these addresses will ship via USPS. Please Note: UPS makes every effort to deliver every package as soon as possible. If there is a shipment delay, due to adverse weather conditions in-transit, you may experience a delivery delay. Weather delay is outside of US Postal and UPS control. In these circumstances UPS does not honor expected arrival dates. Final point of delivery might be UPS or USPS. Orders for larger items that do meet the size and weight requirements of our regular Package Carriers will ship via Motor Freight and will ship in 3 - 4 weeks from date of order. Freight carrier will be determined by destination and the best rates available. Gymsupply.com will contact our customers with trucking company's contact information and delivery tracking information. Customers are responsible to communicate with the trucking company dispatch to schedule large item deliveries. DGS cannot guarantee freight company delivery schedule. Customer is required to provide help to unload deliveries. Contact DGS at 1-800-932-3339 or info@gymsupply.com with freight questions or concerns. Please contact DGS with special delivery concerns or requests. Customer is responsible to carefully inspect all freight packages and items for damage upon delivery. If damage is noted customer can choose to refuse the delivery of the damaged items. If you choose to accept damaged items you must sign for the items as damaged (describe damage) on the freight Bill of Lading (delivery receipts) in the presence of the driver. Make sure the driver agrees and signs as well. Ask the driver for the freight company Damage Freight Claims Department information so you can claim your damage directly with the freight company. DGS is not responsible for freight damage and all damage claims must be filed directly by the customer in a timely manner with the freight company. Customers are responsible for carrier-imposed fees. READ THE FOLLOWING to help avoid unwanted surprises. LIFT GATE: If your delivery location does not have a DOCK, you will either need to pay ADDITIONAL CHARGES for a “lift gate” or be prepared to lift the product off the truck without it. (note the weight of your product(s)) Motor Freight delivery is only to transport from one location to the next. There will not be help to take anything off the truck for you. Please plan accordingly. INSIDE DELIVERY: If you would like anything delivered, taken off the truck and brought inside your building, there is an ADDITIONAL CHARGE for that as well. STORAGE FEES: Contact the freight company the same day you are notified of its shipping or that you have to call to schedule the delivery. If the freight company is delayed at all in the delivery of your product, you will be charged storage fees. Express shipping requests are always given our top priority. Please note that express shipping can still take up to 4 business days as weekends and holidays are not calculated in express shipping times. 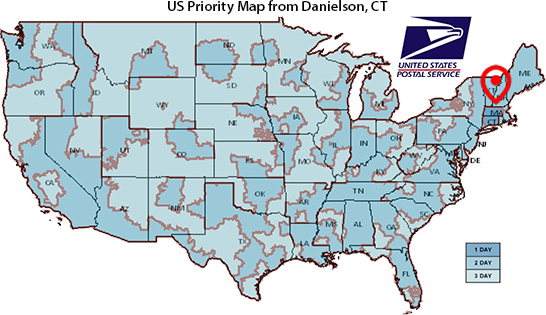 For customers ordering from Alaska, Hawaii, and Puerto Rico, The United States Postal Service Priority, Express, or First Class International is used. Most items arrive within 5 business days after they leave our facility. You will receive a confirmation email letting you know that your item has been shipped, and a USPS tracking number. For our valued Canadian customers, we offer two shipping methods. 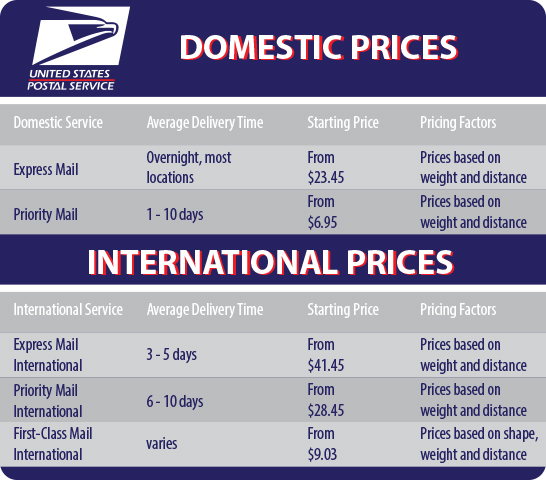 The United States Postal Service Priority, Express, or First Class International and also Bongo International. 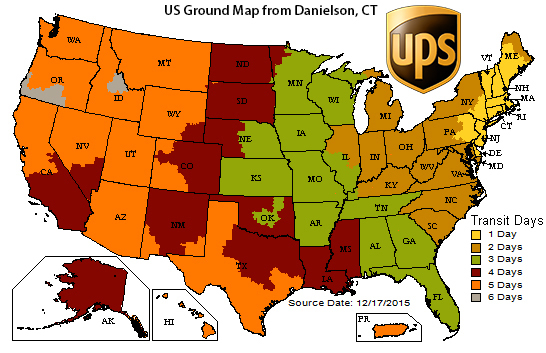 Most items arrive within 5-7 business days via USPS after they leave our facility. If you use USPS, you will receive a confirmation email letting you know that your item has been shipped, along with a customs form number which is similar to a tracking number but not as accurate as a tracking number. This number will allow you to see that the package has left the United States, and when it it arrives to Canada, however it will not give the package's exact location. If you use DHL International through Bongo International, you will receive an actual tracking number which will enable you to view your package's current status and location. 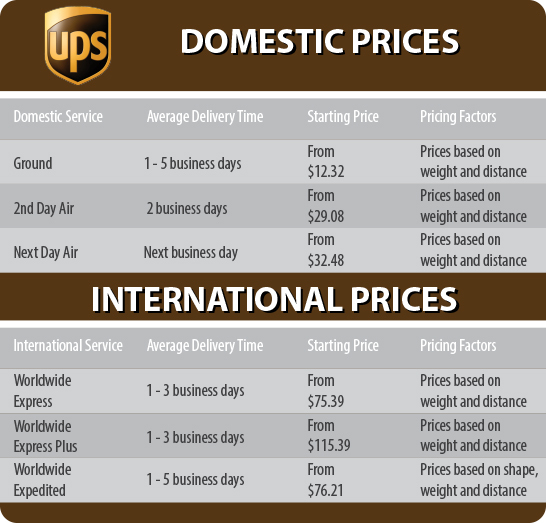 International orders ship via UPS Worldwide Express Saver. Please note: Restrictions on order dollar amount, size of shipping boxes, and even certain fabrics prohibit some items from being shipped to certain countries. Additional local taxes and or duty charges may apply upon delivery. 1. There may be fees, delays, and/or restrictions relating to items mailed into Canada and other countries. 2. There are Canadian requirements and/or restrictions on certain products being mailed out of Canada. 3. There are foreign customs rules and requirements relating to the country of destination. International mail is subject to customs examination in the destination country resulting in delays and possible duties. Once the package arrives in customs, we can no longer track the package and are not responsible for possible delays. *Shipping costs may vary for international shipments. In order for you to see the real time shipping rates for your international location, you must first enter all of the items you wish to purchase into your shopping cart, then enter your full shipping address. There is no obligation to buy, but this is the only way to see the real time rates for international orders, as each country has a different code and rate. Prices and product availability subject to change without notice. All specials and promotions are limited to available stock. We are not responsible for typographical or website errors. "HOLIDAY PROGRAM" Items are only valid for the Continental U.S., International orders will require a shipping charge - INTERNATIONAL ORDERS CANNOT SHIP USPS. Shipping included is for UPS Ground only, expedited shipping requires additional cost. Please call for more information (800)932-3339.